Mica Scraps is the nomenclature given to the irregular lumps of mica as received from the mines having an area between 1/2" and 1 1/2" sq. We export mica scrap mainly to plants all over the world to be made into a pulp used for the manufacturing of mica paper and reconstituted mica plates. 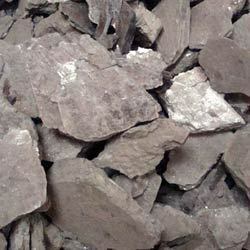 It is also used as a raw material for the manufacture of mica flakes and mica powder. There are two forms which are in demand generally one is the tested/ ruby mica scrap (good for calcinations) & another is the untested/white mica scrap (not good for calcination). We offer Ruby Mica Scrap to our clients. Ruby scrap is generally of Bihar/Jharkhand origin. These are the best known ruby mica scrap from all over the world because of its color, high tensile strength & best known for calcination due to its sustainability at more than 900 degree celsius. Size: There are mainly 2 sizes available: 1/2" & above(JMS1171) and 1" & above(JMS1024). 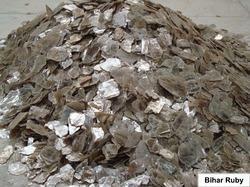 White mica Scrap is generally found in Bihar region in mines like Bhana & Chatkari. White Mica is Best suited for the production of high quality Mica Paper & Board. This white mica scrap is not good for calcination as it cannot sustain its properties at a temperature of more than 650 degree Celsius. But its Shine & Colour makes it apt for the production of Paper & Board. Most regions in India besides Bihar have deposits of only Untested Mica, like Bhilwara (Rajasthan), Gudur (Andra Pradesh) but their colour is generally Ruby or green. White Mica Scrap is a specialty of Bihar/ Jharkhand. We offer Natural Mica Scrap to our clients. This is the basic raw material in the form of lumps dug out from the mines, used to produce mica scrap. 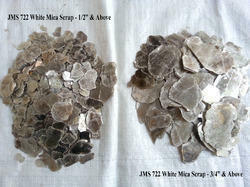 Looking for Mica Scraps ?